Rhinoplasty or nose surgery is designed to improve the appearance and proportion of your nose, while enhancing facial harmony and confidence. 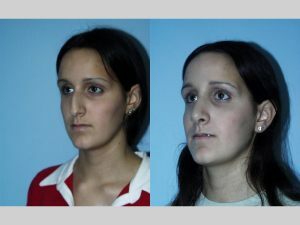 Surgery of the nose is not only meant to correct aesthetics, but in many cases can correct impaired breathing caused by abnormalities in the nasal structure. By reducing excess cartilage and bone in the nose, Dr. Salomon removes irregularities and bumps giving the nose a straightened and usually smaller appearance. Often times, tissue may be added to enhance certain features of the nose and to achieve facial symmetry. Dr. Salomon believes that even small changes in nasal appearance can greatly enhance the face. The results of Rhinoplasty surgery should create a balance between the nose and other facial features such as eyes, cheekbones and smile. 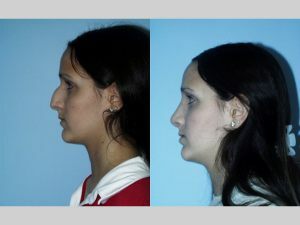 The patient below is shown before and one month post rhinoplasty surgery by Dr. Jhonny Salomon.